"Park Here," an entry in the Re:Vision Dallas competition, is a radical effort to establish a new model of sustainable 21st century urban living. By appropriating the pastoral setting that has historically drawn the population to the suburbs and instead redirecting it towards the urban center, we achieve a negation of the unfortunate byproduct of suburban living: the parking lot. 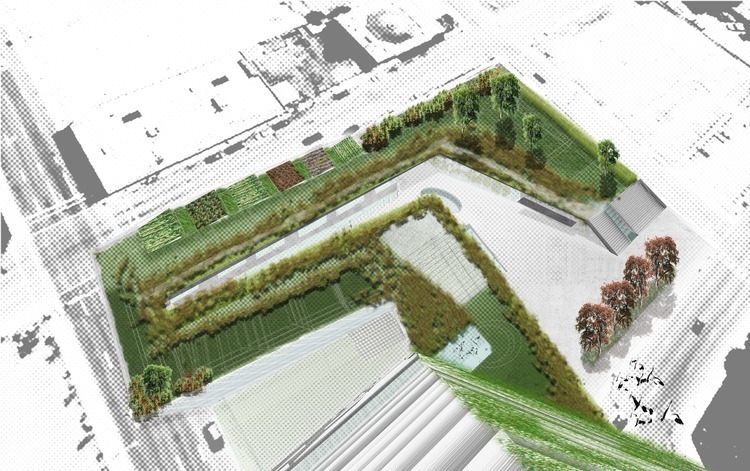 In forcing the parking lot underground and building on top of it a dense urban landscape centered on various patterns of land-use, the unproductive lot becomes transformed into a hyper-productive, sustainable, and vibrant landscape.